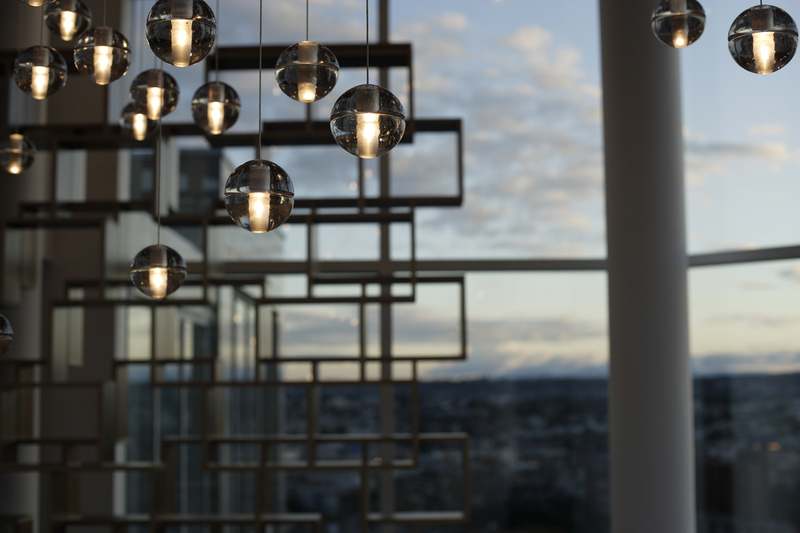 The 14 Series, designed by Omer Arbel in 2005, challenges the concept of chandeliers as singular installations. These pendant lights produce a glow reminiscent of small candles floating within spheres of water. Instead of a central sculptural object, the 14 Series is an ambient chandelier, achieving its power through a strategy of composition and clustering. The 14 Series pendant fills the volume of a room with its articulated, seamed cast glass sphere with a frosted cylindrical void, where each pendant is handmade and thus every piece produced is unique.